(CNN) - Gov. 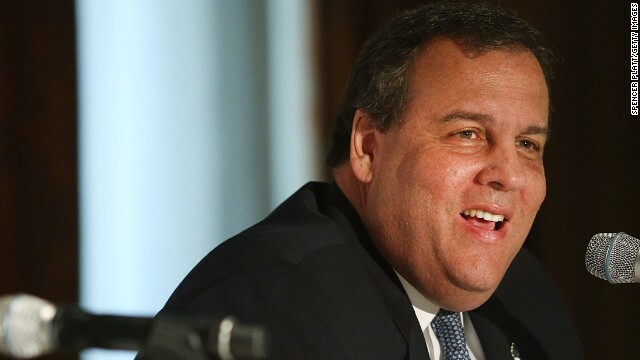 Chris Christie said Friday he disagrees with Gov. Rick Perry's recent comments comparing homosexuality to alcoholism. "I disagree with them. I don't believe that's an apt analogy and not one that should be made because I think it's wrong," the New Jersey Republican told reporters Friday in San Francisco. As chairman of the Republican Governors Association, Christie was in California campaigning for gubernatorial nominee Neel Kashkari. He was asked whether the RGA should condemn Perry's remarks, which were made earlier this week in San Francisco. "You know, every governor and public official has to speak for themselves on these issues," Christie said. "I just spoke for myself." At an address to the Commonwealth of California Club this week, Perry was asked whether he thought homosexuality was a disorder. "I may have the genetic coding that I'm inclined to be an alcoholic, but I have the desire not to do that - and I look at the homosexual issue the same way," the Texas Republican said. Perry, like Christie, is considering a presidential bid in 2016. The two aren't known for being the best of friends. The Texas governor also said this week that Hillary Clinton - another potential 2016 contender - was a "great" secretary of state. Asked whether he agreed, Christie said he doesn't "spend a lot of time analyzing Secretary Clinton's time at the State Department." "If there comes a time that I need to, then I'll give you my analysis then, but I don't have one now," he said. Christie also weighed in on House Majority Leader Eric Cantor’s stunning loss to a little-known and underfunded candidate in the Republican primary in his district. Pressed on whether the outcome will have any implications for Republicans in 2016, Christie said, "No." "I think it's a sign for what happened in the 7th Congressional District in Virginia," he said bluntly. "A lot of these outside forces that people spend a lot of time talking about because we have to fill a 24-hour news cycle, to me, are a lot less relevant." "I'm a great friend of Eric's, and I'm sad to have seen him lose. But these races are determined by the candidates," he said. One of the big issues in the congressional race was immigration reform. Cantor's opponent, David Brat, ran on a strong platform against reform, whereas Cantor had pushed to make some changes. With Cantor's loss, any chance of congressional action on immigration reform this year was quickly deemed impossible. Some analysts argue immigration is now too much of a hot-button issue to tackle in an election year. Asked to lay out his position on immigration reform, Christie gave a sarcastic response. "I'm sure you'd love me to do that," he told a reporter. "I want to give you a very complex answer behind a set of microphones on a contentious issue that's driving debate all across the country: No, thank you." Following his night of "dad dancing" on "The Tonight Show" with Jimmy Fallon, Christie also declined a request to repeat some of his moves. "I'll tell you this: If I start to do it now, Kashkari would feel like he'd have to start to dance," he said, as the candidate stood next to him. "And you got to get elected first before you get to do that kind of dancing, believe me." And this revelation is supposed to make me feel what? Id say Ricky has a rare form of Denial of his disease . How dare Perry compare gays to John Bohener. He's right making that comment about alcoholism. I've heard of new born babies with alcoholic tendencies, they're born that way but does it make it ok? Should they live their lives at the bottom of a bottle? finally looks like we have a politician who will speak with he believes and not what will simply bring him votes. Oh great, CNN decided to give up on the screecher from AK, the Canadian born Texas domestic terrorist, curly top from the pre 60s era so they are giving us the NJ gov who is NOT going to be president along with the two, or three, time loser rich boy eith the car elevator mansion. We already know that the oops governor who probably likes to drink alcohol more than necessary is "not all there" we don't need anyone else to tell us. gee, chris christie is looking and sounding as good as he ever has! i guess the tens of millions of dollars the nj democrats and obama feds are spending is a total waste because somebody as smart as christie wouldn't have anything to do with a third grade prank, especially when he was a sure double digit election winner and a leading presidential contender. then again, lefties were never known for their common sense and they certainly have no problem taking your money to spend on their political witch hunts. Perry's viewpoint, is an absolute joke. He has NO CHANCE of becoming President, with views that are entirely from the church, and not the head.